Very well defined crystals, bright and of excellent color, of considerable size for this rare species. It comes from a very classic locality recently rediscovered. 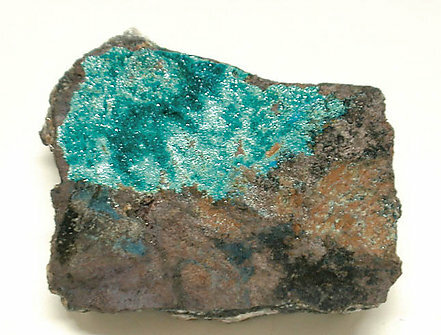 Crystals are on Limonite matrix. When we got this specimen we were afraid that it wasn't the species on the label. Too fresh and too nice to be it. After analysis we breathed a sigh of relief. It is Botallackite and we are now able to offer the analysis with it. 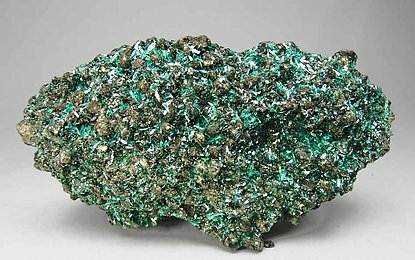 We are proud to be able to present this quality specimen of this rare mineral.